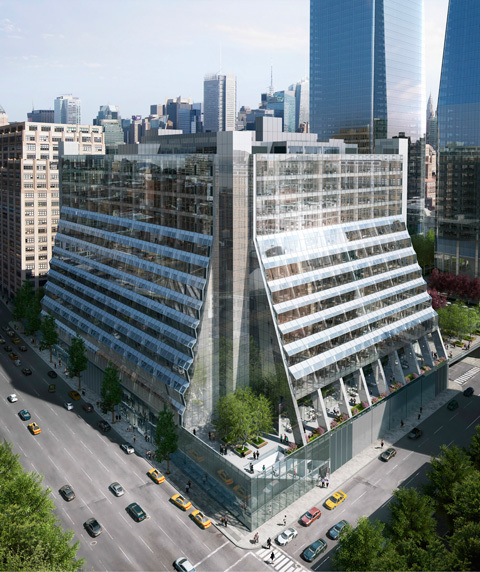 Brookfield is officially set to construct Two Manhattan West without an anchor tenant. The near-supertall tower will be the second-tallest skyscraper in the Manhattan West complex, comprising two million square feet of space, rising 935 feet to its rooftop, and enclosing 62 floors of office space, all at a cost of approximately $2 billion. 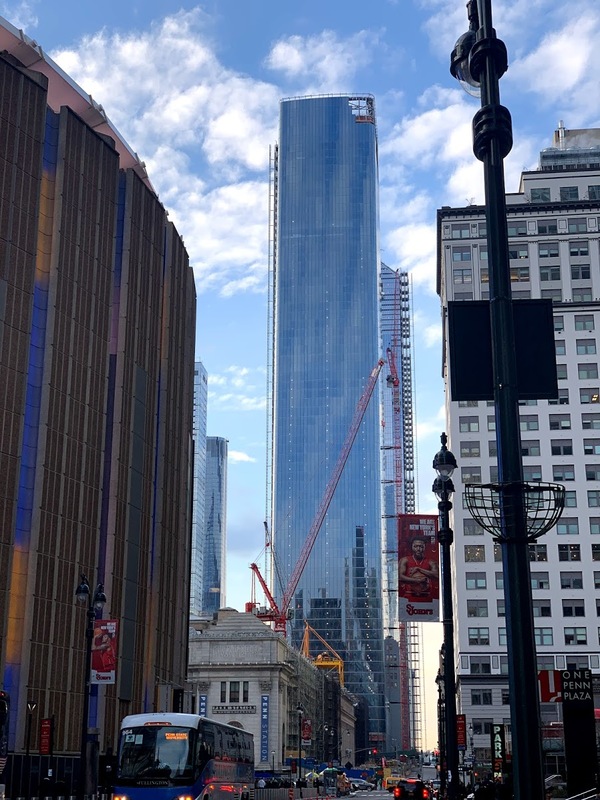 Meanwhile, work on One Manhattan West is wrapping up, with the facade closing in on completion along the upper floors, while the construction crane is now coming down on the northern elevation. When completed, all six structures will encompass around six million square feet of refurbished and newly constructed office space. 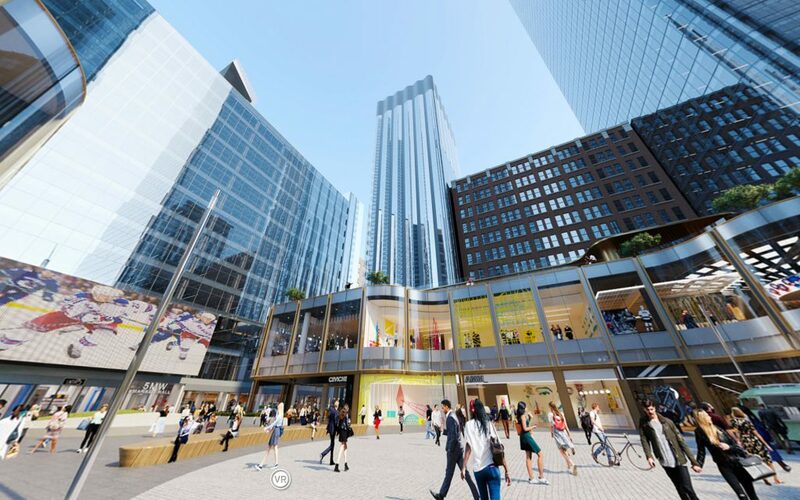 Crain’s Daniel Geiger was the first to report on Brookfield’s plan to proceed without an anchor tenant. Skidmore Owings & Merrill is the design team behind the new twin glass towers. Sitting among the footprints will be a two-acre public park designed by James Corner Field Operations, retail space covering around 250,000 square feet, and a boutique hotel at Four Manhattan West dubbed The Pendry Hotel. That building is expected to be completed around 2021. 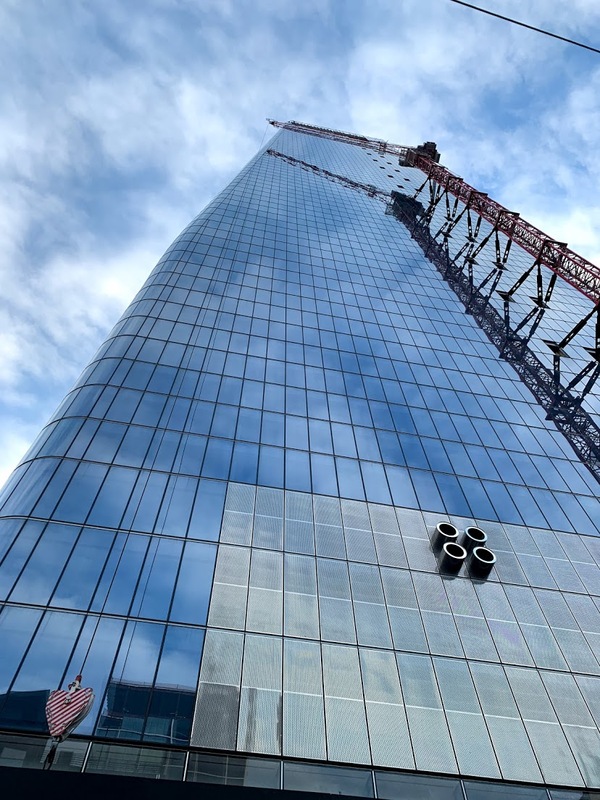 The Eugene at 3 Manhattan West opened in 2017 as the first completed building, and stands 730 feet tall with 844 new apartments. Five Manhattan West is the only existing building previously on site, and underwent a complete exterior renovation and makeover. Covered in a new exterior of reflective glass panels, the 15-story building is getting ready for leases from Amazon, JP Morgan Chase, and the NHL. The NHL will also have a 15,000 square foot retail superstore, and is set to join Whole Foods and a Peloton fitness center in the central retail courtyard. 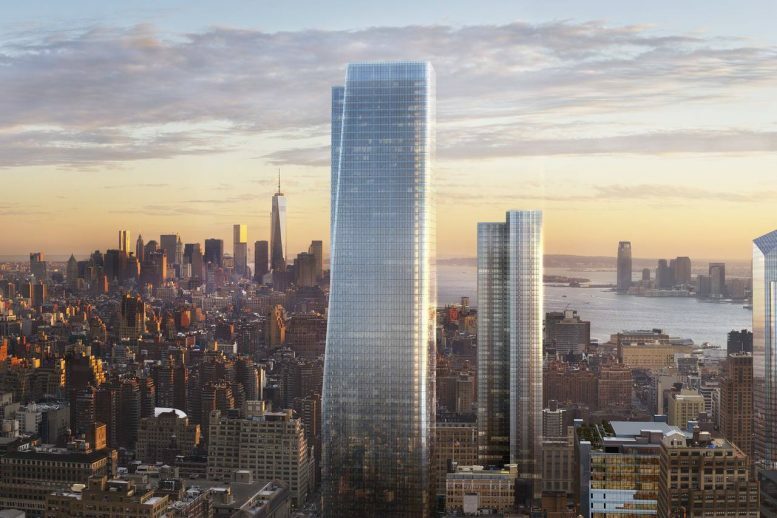 Two Manhattan West is expected to be completed around 2022.